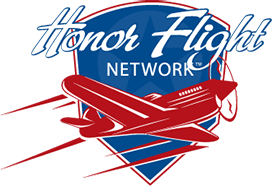 Honor Flight Philadelphia primary mission is to take World War II and Korean War Veterans to Washington DC, to visit THEIR Memorials. Our primary focus is World War II and Korean War Veterans because they are our nation’s most senior heroes. Another category of veterans we are equally concerned for are ALL those who served in uniform, who were recently diagnosed with a terminal illness. It is our mission to transport these veterans if they have never been able to visit the various national memorials constructed to honor the service and sacrifice of their brothers and sisters in arms. All such veterans, regardless of the conflict they participated in (Korea, Vietnam, Desert Storm, Iraqi Freedom, etc), who wish to visit our nation’s existing memorials, will be invited to do so. Specifically, this program includes ALL veterans, even younger veterans who participated in recent conflicts for which a national memorial does not exist. At Honor Flight Philadelphia, we feel they all should have an opportunity to clearly see and appreciate how our nation honors those who were willing to lay down their very lives in service to our country. This special category of veterans we refer to as “TLC’s,” meaning “Their Last Chance”. Provide a note, signed by a physician, with diagnosis and prognosis. A current diagnosis of cancer, in any organ system EXCEPT the prostate (unless extremely aggressive, rare forms) is considered terminal if the physician concurs. Presently undergoing chemotherapy or radiation therapy for a cancerous condition OTHER THAN prostate cancer. Any other terminal condition that, according to the veteran’s private physician, is likely to limit the veteran’s life to 12 months or less. Again, the diagnosis and prognosis must be stated in a note signed by a physician. NOTE: IF THE PHYSICIAN IS NOT WILLING TO STATE IN WRITING THAT THE TERMINAL CONDITION IS “LIKELY TO LIMIT THE VETERAN’S LIFE TO 12 MONTHS OR LESS”, IT IS EXTREMELY DOUBTFUL THAT THE VETERAN QUALIFIES FOR OUR TLC PROGRAM.